Homemade shaving cream is of interest to those who prefer a home free of chemicals. Studies show that many items and beauty products contain chemicals that may be considered harmful to humans in large doses. Shaving cream is a product used by both men and women, often daily. Therefore, if you come across a shaving cream which is toxic then spread the word around to help other consumers avoid it. Most shaving creams contain similar products designed to provide skin moisturizing and softening of the hair for easier removal. Some basic ingredients are stearic acid (a fatty acid of vegetable or animal matter), glycerine and lanolin. 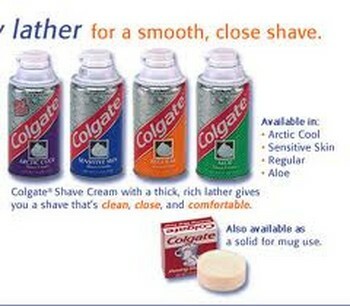 These are common in soaps and lotions. These basic ingredients keep the water close to the skin, keeping it soft and moist. Also holds dirt and grease removed when washed. Most shaving products also contain some form of aloe vera (aloe), and an aroma. Triethalolamine: When combined with other chemicals, it has been linked to cancer. Triclosan: This chemical is an antibacterial agent and is bad for septic systems and natural water systems. Phthalates: This ingredient makes shaving cream soft, but medical research links to neurodevelopmental disorders and neurotoxicity, and the links between it and asthma and allergies. Isobutane: In laboratory tests, this chemical has been linked to cancer. Methylparaben: This preservative has been associated with tumor growth. Sodium lauryl sulfate: This cleaning agent is considered bad for the environment and is deadly to fish and can cause birth defects in animals. g cream. Most chemicals used in such small amounts that do not adversely affect a human being (as they say). Also, depending on the molecular structure, the majority of the chemicals are not absorbed into the skin anyway. However, there are many good reasons to seek alternatives to shaving cream brands in the market, including lower costs, better for the skin and reducing exposure to chemicals and artificial fragrances. 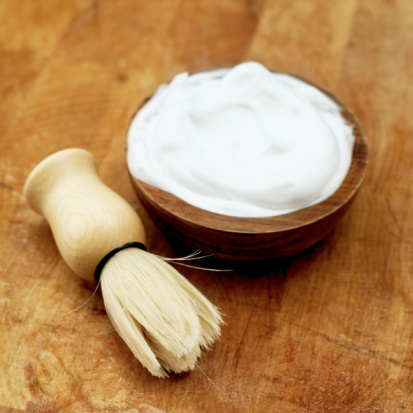 Many people are turning to homemade shaving cream for safe grooming needs. They will also reduce costs, irritation of sensitive skin or steer clear of chemicals from the house surroundings. Before the mass production of aerosol shaving creams and gels emerged, barbers used their own mix of shaving cream to moisturize the skin. It was just perfect for the art of shaving. Nowadays, commercial shaving creams are a scientific blend of moisturizers, chemicals and fragrances designed to soften and moisturize the hair for better extraction and leave skin comfortable. 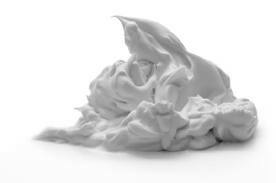 If you make a homemade shaving cream, you will save more as opposed to buying from stores. Most of the ingredients, including stearic acid, glycerin and essential oils – can be purchased at craft stores in bulk. Because the recipes are mostly provided for large quantities, a batch will last a long time. 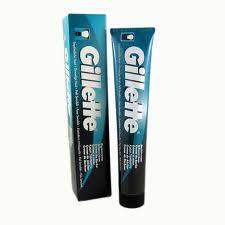 Commercial shaving creams also add the cost of packaging in the total product price. Homemade shaving cream not only eliminates this cost, but has a positive impact on the environment by reducing excessive packaging. Commercial shaving cream often contains many chemicals acting as fragrance, foam and to extend the shelf life while in the store. 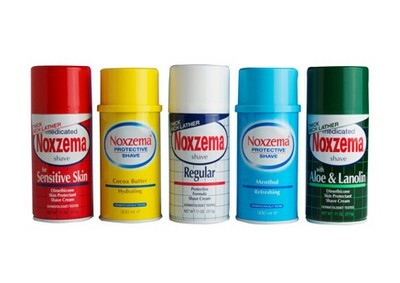 These chemicals can often irritate some people with sensitive skin usually causing rashes and redness. Some commercial shaving creams are very acidic and can cause irritation or other adverse reaction during shaving. Thus why when making your own homemade shaving cream you can use pure ingredients which don’t severe side effects. You also have the flexibility to modify the ingredients to fit the blend of your choice. Most families are on a mission to eliminate chemicals in their households. The chemicals in beauty products, toiletries and cleaning products are some of the easiest to remove. Many believe that unnecessary chemicals are making people sick and more susceptible to disease. While others believe that there are several levels of absorption of chemicals on the skin. Thus homemade shaving cream can help eliminate these worries. Click here for simple and exciting homemade shaving cream recipes. 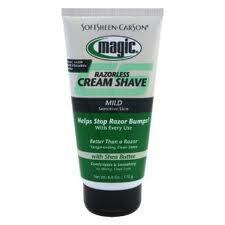 Is Magic Shave Cream Right for You?